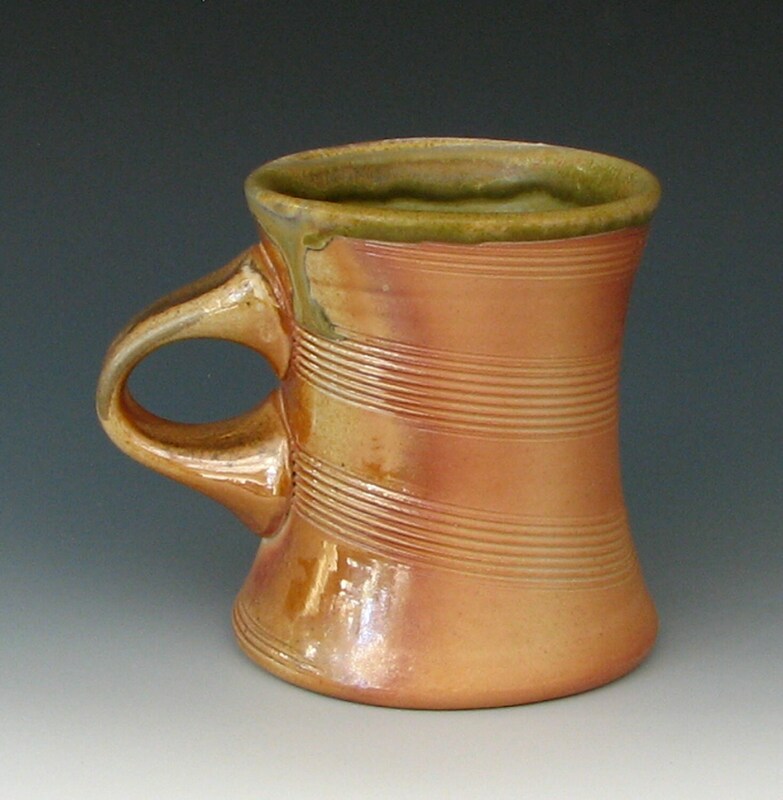 A wood fired mug that has been colored by flames and glazed by the ash in the fire. It was fired in an anagama (Japanese for "cave kiln") stoked with wood every few minutes non-stop for five days. 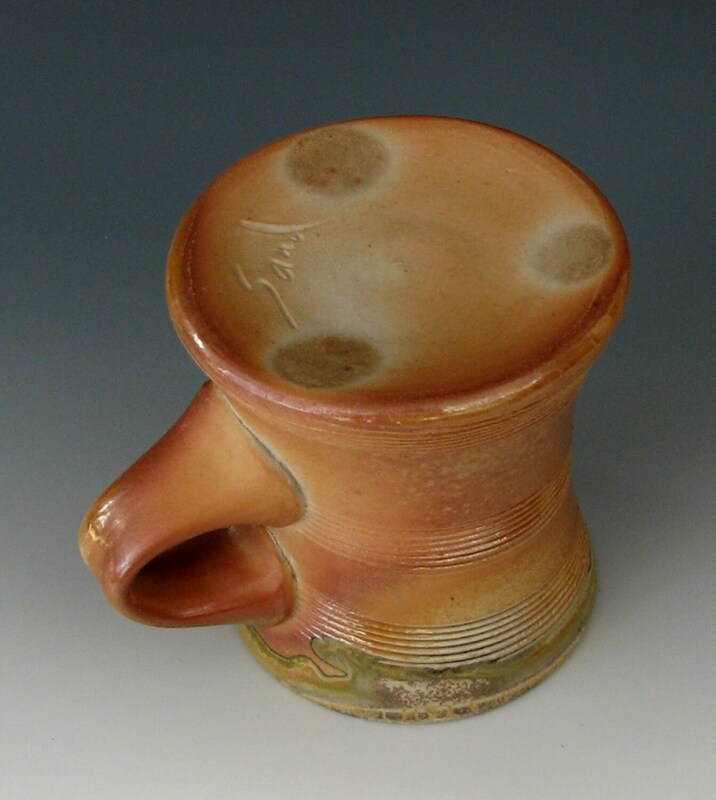 The stoneware clay used to make this cup has been formulated to take the heat of a cone 13 (approx. 2450 degrees F.) wood-firing. It is vitrified so it would not leak even without a glaze. 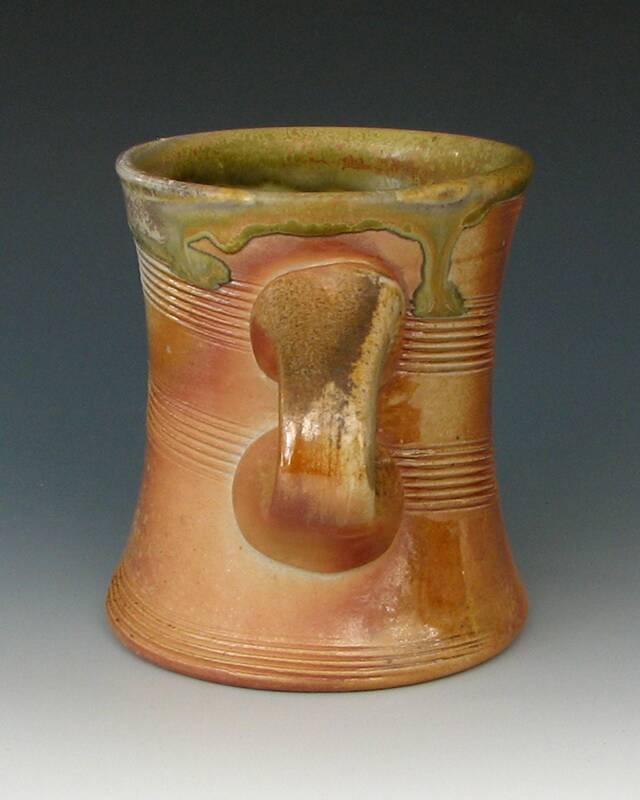 The ash glaze in the cup is a nice mottled yellow-green with lots of depth and variation. 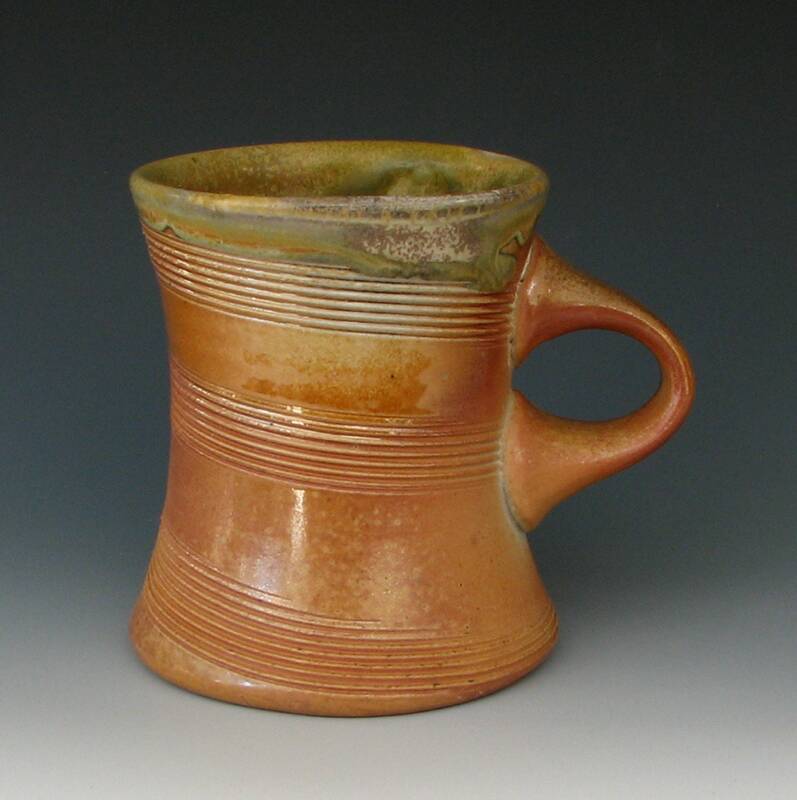 The color and glaze on the outside is from the the fire. 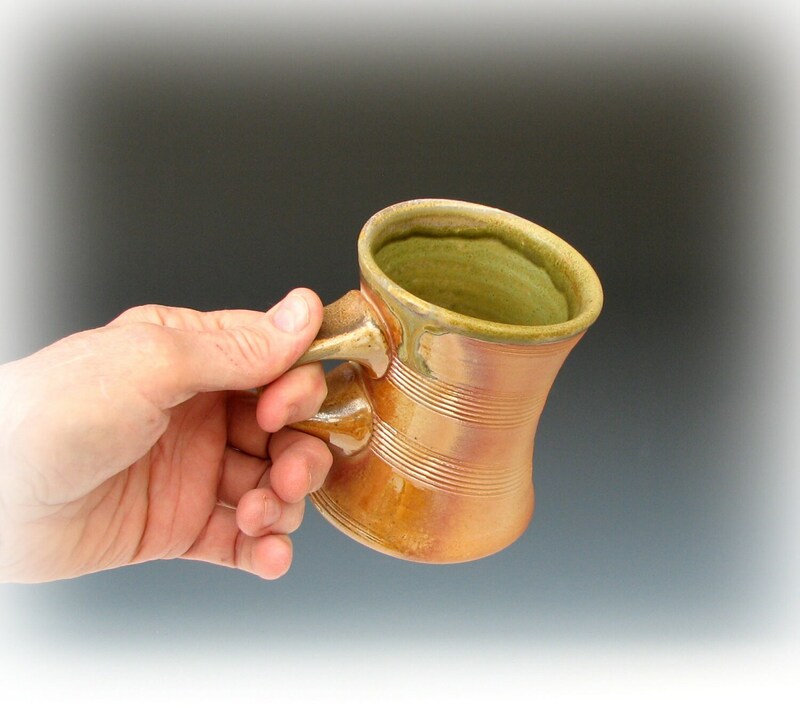 In places the glaze on the lip runs down the side of the cup, creating a nice contrast between the yellow-green glaze and the syrupy gold-tan glaze from the wood ash. 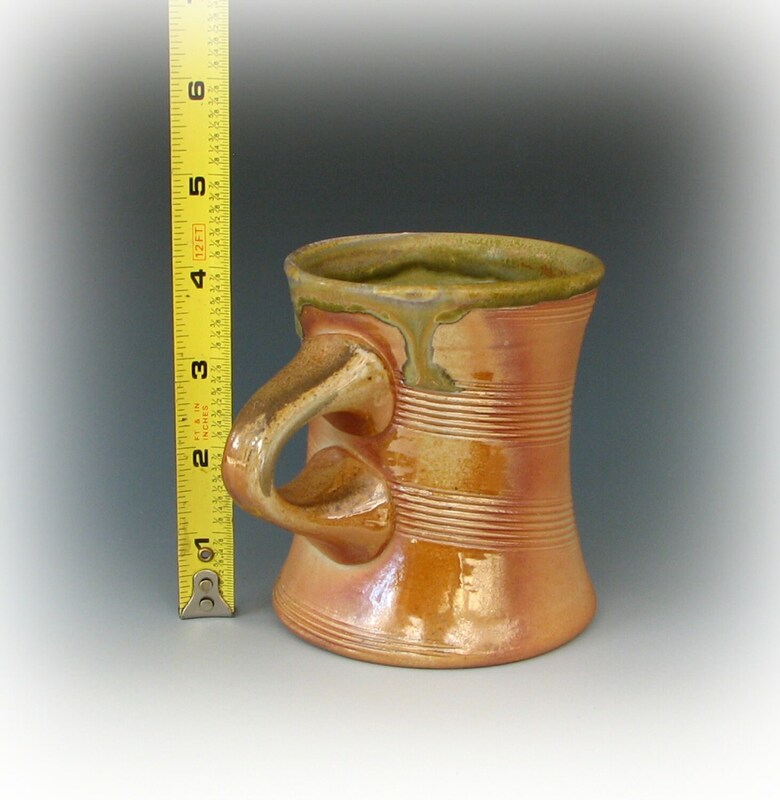 About 4 inches high and about 3 1/2 inches wide. Holds almost 1 1/2 cups. Food-safe. Okay in microwave and dishwasher. I accept Paypal, credit cards, Apple Pay, Google Wallet, etc. 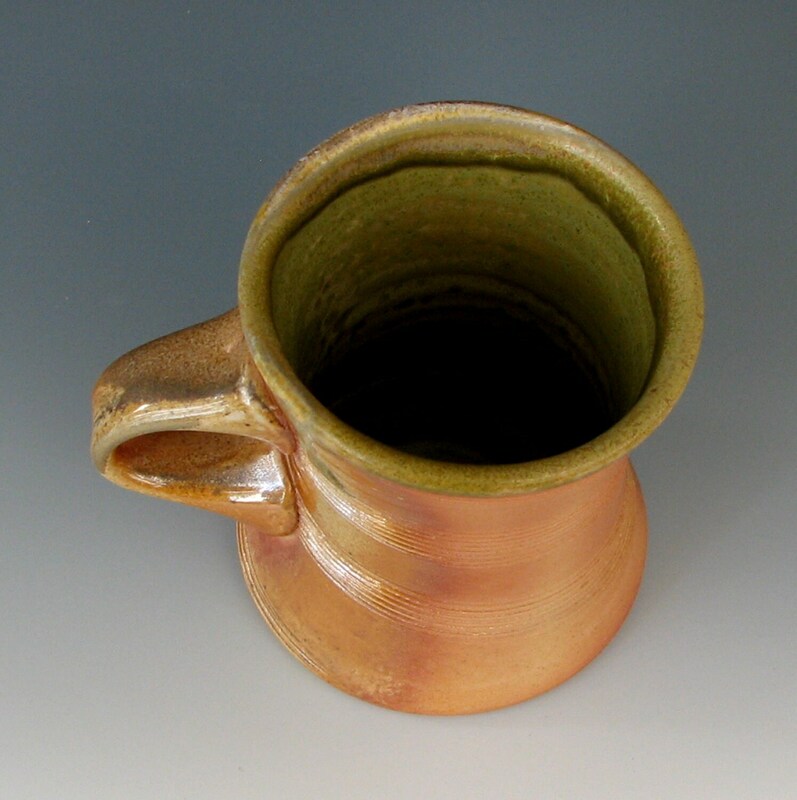 Pottery is heavy and fragile so shipping is always expensive. I use 200# test boxes, lots of foam and bubble wrap, double-box when necessary and take the time to pack so that you don't get a box full of shards. I ship next business day (usually including Saturday). I ship Internationally to many countries. I do not ship to some countries where I've had problems with delivery, customs, or insurance, or other retailers have reported problems with lost shipments (such as Italy, Russia, and Brazil). Internationally I ship Priority Mail International and Priority Mail Express International. Customer Satisfaction Guarantee: If, for any reason, you are not happy with your purchase, return the pottery (undamaged, carefully packed and insured) within 10 days of receipt for a full refund of the purchase price. Shipping is not refunded. If the pottery arrives damaged due to shipping, put the pottery back in the box packed the way it was before you opened it and contact me so that I can file a claim with the USPS or UPS.